After six months of work and a lot of anticipation, I give you: “Dr. One“, a story about the future ramifications of shared data on the Net. 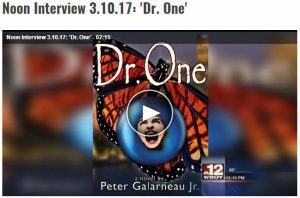 Noon News Interview with Peter Galarneau Jr.